Saraki will now fall back to his plan B and that is remaining in politics. Senate president Bukola Saraki may have lost the Peoples Democratic Party presidential ticket to Abubakar Atiku, but his strategy seems to still be intact. Atiku beat Saraki and 10 others to pick the PDP ticket and will contest against president Muhammadu Buhari in the 2019 presidential election. Saraki will now fall back to his plan B. Late on Sunday night, Saraki picked the PDP Kwara Central Senatorial ticket, meaning if he wins in 2019, he will remain in the senate for another four years. Kwara State Chairman of the PDP Alhaji Kola Shittu, had on Sunday said it was indeed possible for Saraki to emerge as the Kwara Central senatorial candidate of the party even though he had only shown interest in the presidency. Saraki had contested the PDP presidential ticket and came third with 317 votes in the primary that held in Port Harcourt, River State at the weekend. Former Vice-President Atiku Abubakar emerged the PDP presidential candidate for the 2019 elections. He polled 1,532 votes to trounce other aspirants. Sokoto State Governor, Aminu Tambuwal, came second with 693 votes while a former Governor of Kano State, Rabiu Kwankwaso, garnered 158 votes to come fourth, behind Saraki who came third. 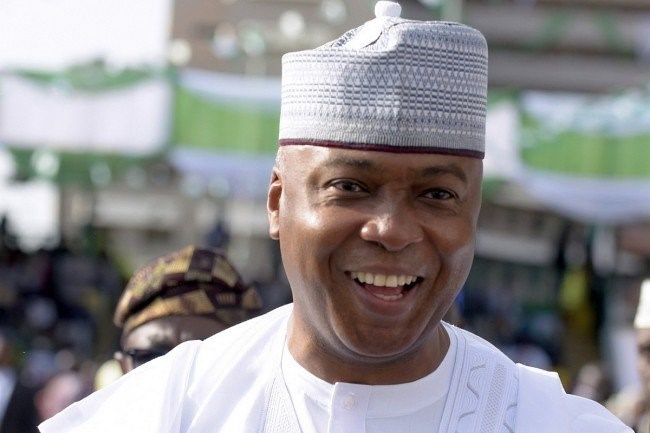 It was gathered that although a candidate for Kwara Central Senatorial district, whose name was not disclosed, had emerged through consensus means, arrangements could still be made for Saraki to become the PDP Kwara Central Senatorial District candidate and his name submitted to the Independent National Electoral Commission before the period for submission of candidates closes on Monday. It was further learnt that arrangement had been activated to fly back to Ilorin the Kwara PDP delegates who went to Port Harcourt for the party’s presidential primary. It was further gathered that after the arrival of the delegates, Saraki would be formally presented as the party’s senatorial candidate for Kwara Central. The state PDP chairman also confirmed in an interview with The Punch that there was a procedure for Saraki to emerge as the candidate if he so wished.